After being exiled by Akbar, as per a widely accepted version of history, Kashmir’s last native king Yousuf Shah Chak’s address became a forgotten village in Bihar. Centuries later, the King’s tribe migrated from Kashmir to Nalanda to be at their sovereign’s resting place. Today, as per the claimant descendent, adjacent to the monarch’s decrepit tomb, lies the symbol of eternal love, and Kashmir’s celebrated poetess, Habba Khatoon. 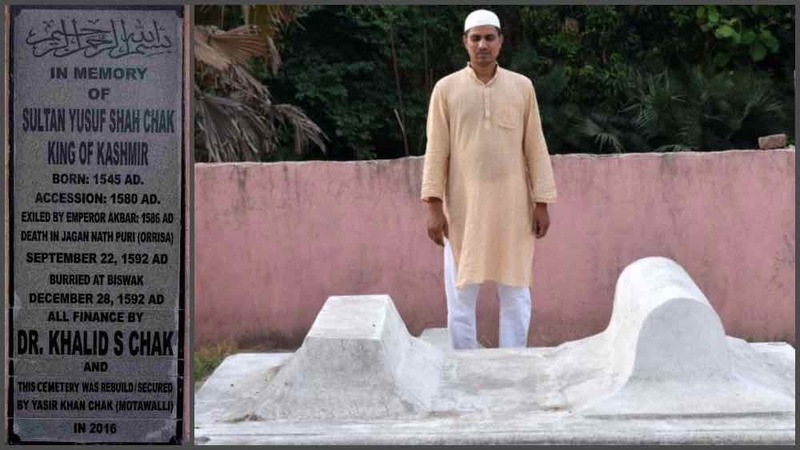 For years, says Yasir Rashid, who claims to be one of the descendents of the Chak dynasty, his grandfather Dr. Abdul Rashid and uncle Akeel Ahmad had taken care of the last resting place of the King Yousuf Shah Chak and his family, far away from their homeland, in Bihar. Soon after his father was born in Kashmir, Yasir’s grandfather had moved to Bihar with his family, to serve the final resting place of “their Royal Chak monarch”, who was banished, almost in a historic haste and deception, in what is often called the first of successive foreign occupations of Kashmir. “My mother and uncle would tell me that when father was 5-year-old, the family moved from the Chak village in Kashmir due to some unrest in 1947. Only pure Chaks resided there. We belong to the same community,” says Yasir, asserting that thousands of people who belonged to that generation are alive to narrate the story. According to Yasir, King Chak did not disappear. He was wronged, he says, and died serving the one who wronged him: King Akbar. Before Akbar, many rulers lusted upon Kashmir. The Chaks were a warrior Kashmiri tribe of Dardic ancestry from Gurez, in Jammu and Kashmir, who had successfully resisted the attempts of Babur and Humayun to annex Kashmir. Chaks ruled Kashmir from 1579 to 1586 AD. Widely accepted version of history says that, after facing defeat twice, Akbar used all his might to annex Kashmir. He had sent his generals—Raja Bhagwant Das and Raja Man Singh—to approach King Chak. Some historians dispute this, but Yasir asserts that this is what happened. “Then, on April 7, 1587, King of Kashmir went to Delhi to negotiate with Akbar. He stayed there and had also presented his Kalam (poetry) in Akbar’s Darbar. He wanted to avoid bloodshed, but Akbar wronged him,” Yasir says. Yasir Rashid standing besides Yousuf Shah Chak’s grave (right). On the left is Yousuf Shah Chak’s son Yaqoob Shah Chak’s grave. Historians write that Kashmir’s celebrated poetess, Habba Khatoon had advised the King against it, as she saw it as a trap. King Chak was exiled and made to stay in Bengal Pranth’s Biswath Pragna. “General Baghwan Das had stabbed himself in protest. He had objected the way Kashmir’s king was treated. Hearing that, Akbar elevated the Chak as his own Senapati [military chief],” narrates Yasir, adding that King Chak was provided horses and asked to maintain a cavalry of 500 soldiers. He was given some land in Nalanda, which came to known as Kashmiri Chak. While fighting for Akbar, King Chak died in Odhissa’s Jagannath Puri on 23rd Rabil Awal where from his body was buried in Biswak, around 200 metres away from Kashmiri Chak, up on a mountain, Yasir says. What’s surprising is that Chak’s wife, Habba Khatoon, is buried in the third grave beneath that of King Chak! But how did the woebegone empress — known for singing elegies for Yousuf in wilderness of Kashmir — reach Biswak, nobody knows. “Many historians write Habba Khatoon is buried in Athwajan [in Kashmir] but well-known Kashmiri historian Mohammad Yousuf Taing suggested otherwise in 1977, saying that she has been buried near his grave,” Yasir says. Medieval Indian literature: An anthology by K. Ayyappapanicker, Sahitya Akademi, also mentions it in its third volume. “The other grave on his side is that of his son Yaqoob Shah Chak,” he says. The rest of the graves belong to the ruler’s family, and people enslaved with him. Yousuf Shah Chak had built a Masjid that has been revived now and is known as Kashmiri Chak Masjid, the contemporary ‘Chak’ says. 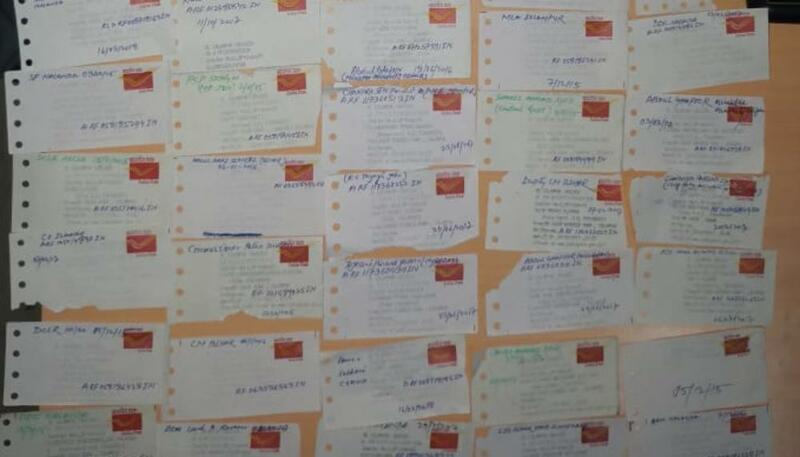 “I got it revived after approaching all those in power,” says Yasir, who claims to have proof of 200 letters he has written to authorities to protect the historical monument. After his uncle’s demise, Yasir was appointed as the Mutawali — the caretaker of the cemetery. However, he says, he got busy pursuing his studies and now works as a Health Manager and lives in Islamapur, Nalanda. The gaps lead to more neglect from the government and people. Till date, however, nothing has been done in favour of the monument, he rues. And now, the local villagers are trying to claim the land. Even as people gather on every 23rd Rabil Awal at the cemetery to observe the Urs on King Chak’s anniversary, Yasir believes, Kashmiris have forgotten their King. Once done with narrating the tale of deceit and deception, Yasir couldn’t answer: How did the empress reached Bihar, when oral legends and history trace her as a grieving queen in the mountains of Kashmir for many years? That part perhaps merits a fresh fact-finding to resurrect the Yousuf-Habba love story, which suffered from the first foreign occupation of Kashmir, and became forgotten graves, far away from their homeland.